World Anesthesia Day Is celebrated annually on October 16. It commemorates the first successful demonstration of ether anesthesia on October 16, 1846, by Boston dentist William Thomas Green Morton Who gave the correct dose of diethyl ether to medical students at the Massachusetts General Hospital in Boston. Morton, who was unaware of Long’s previous work, was invited to the Massachusetts General Hospital to demonstrate his new technique for painless surgery. After Morton had induced anesthesia, surgeon John Collins Warren removed a tumor from the neck of Edward Gilbert Abbott. This occurred in the surgical amphitheater now called the Ether Dome. The previously skeptical Warren was impressed and stated, “Gentlemen, this is no humbug.” In a letter to Morton shortly thereafter, physician and writer Oliver Wendell Holmes, Sr. proposed naming the state produced “anesthesia”, and the procedure an “anesthetic”. At first Morton tried to hide the actual nature of his anesthetic substance, referring to it as Letheon. He received a US patent for his substance, but news of the successful anesthetic spread quickly by late 1846. Respected surgeons in Europe including Liston, Dieffenbach, Pirogov, and Syme quickly undertook numerous operations with ether. An American-born physician, Boott, encouraged London dentist James Robinson to perform a dental procedure on a Miss Lonsdale. This was the first case of an operator-anesthetist. On the same day, 19 December 1846, in Dumfries Royal Infirmary, Scotland, a Dr. Scott used ether for a surgical procedure.The first use of anesthesia in the Southern Hemisphere took place in Launceston, Tasmania, that same year. However Drawbacks with ether such as excessive vomiting and its explosive flammability led to its replacement in England with chloroform.Nevertheless this ranks as one of the most significant events in the history of medicine and took place at the Massachusetts General Hospital, home of the Harvard School of Medicine. The discovery made it possible for patients to obtain the benefits of surgical treatment without the pain associated with an operation. The date (16 October) is now globally recognised as World Anaesthesia Day in respect of the importance of this event. General anesthesia which suppresses central nervous system activity and results in unconsciousness and total lack of sensation. Sedation suppresses the central nervous system to a lesser degree, inhibiting both anxiety and creation of long-term memories without resulting in unconsciousness. Regional anesthesia and local anesthesia, block transmission of nerve impulses from a specific part of the body, causing loss of sensation in the targeted body part only. Peripheral blockade inhibits sensory perception in an isolated part of the body, such as numbing a tooth for dental work, or using a nerve block to inhibit sensation in an entire limb. Central, or neuraxial, blockade administers the anesthetic in the region of the central nervous system itself, suppressing incoming sensation from nerves outside the area of the block. Examples include epidural anaesthesia and spinal anaesthesia. In preparing for a medical procedure, the health care provider giving anesthesia chooses and determines the doses of one or more drugs to achieve the types and degree of anesthesia characteristics appropriate for the type of procedure and the particular patient. The types of drugs used include general anesthetics, local anesthetics, hypnotics, sedatives, neuromuscular-blocking drugs, narcotics, and analgesics. There are both major and minor risks of anesthesia. Examples of major risks include death, heart attack and pulmonary embolism whereas minor risks can include postoperative nausea and vomiting and hospital readmission. The likelihood of a complication occurring is proportional to the relative risk of a variety of factors related to the patient’s health, the complexity of the surgery being performed and the type of anesthetic used. Of these factors, the person’s health prior to surgery (stratified by the ASA physical status classification system) has the greatest bearing on the probability of a complication occurring. Patients typically wake within minutes of an anesthetic being terminated and regain their senses within hours. One exception is a condition called long-term postoperative cognitive dysfunction, characterized by persistent confusion lasting weeks or months, which is more common in those undergoing cardiac surgery and in the elderly. Cordell Mosson, American bass player with Parliament-Funkadelic was born 16 October 1952 and joined Parliament Funkadelic during the 1960’s. Parliament Funkadelic were a collective of musicians led by George Clinton who pioneered late 1960s and early ’70s funk. 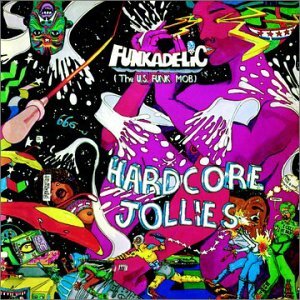 The fusion of R&B rhythms, infectious melodies, and psychedelia and also created a new pop/soul/rock hybrid called Funkadelic, the impact of which has proven lasting and widespread. George was the also the mastermind of the bands Parliament and Funkadelic during the 1970s.The collective’s origins date back to the doo-wop group The Parliaments, which was formed in the late 1950s in Plainfield, New Jersey by a then teenage George Clinton and For a period in the 1960s Clinton was also a staff songwriter for Motown. Despite initial commercial failure (and one major hit single, “(I Wanna) Testify” in 1967), The Parliaments eventually found success under the names Parliament and Funkadelic in the seventies as a funk, soul and rock music collective headed by George Clinton. 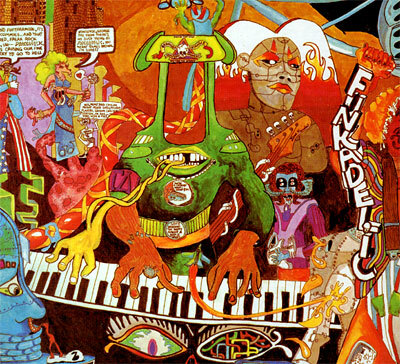 Funkadelic had a psychedelic rock touch whose influences include the amplifier sounds of Jimi Hendrix and Led Zeppelin, James Brown’s funk, blues, Sun Ra’s experimentation, Frank Zappa’s and the Coasters’ humour, the concept albums of the Beatles and the Who and southern soul artists like Otis Redding and Screamin’ Jay Hawkins, other influences also include the funky side of Hendrix and Sly Stone, Motown soul groups turned funk groups like the Temptations, the political songs of the Impressions, Rufus Thomas’ southern funk, doo-wop groups like the Coasters for the humour and Frankie Lymon & the Teenagers. Their style has been dubbed P-Funk. Collectively the group has existed under various names since the 1960s and has been known for top-notch musicianship, politically charged lyrics, outlandish concept albums and memorable live performances. Overall, the collective achieved thirteen top ten hits in the American R&B music charts between 1967 and 1983, including six number one hits and and three platinum albums.By the early 1980s, Clinton consolidated the collective’s multiple projects and continued touring under the names “George Clinton and the P-Funk All-Stars” or “George Clinton and Parliament-Funkadelic”. In 1982, Clinton released the songs Computer Games and “Atomic Dog”. During the next four years, Clinton released three more studio albums (You Shouldn’t-Nuf Bit Fish, Some of My Best Jokes Are Friends and R&B Skeletons in the Closet) as well as a live album, Mothership Connection (Live from the Summit, Houston, Texas) and charting three singles in the R&B Top 30, “Nubian Nut”, “Last Dance”, and “Do Fries Go with That Shake?”. In 1985, George Clinton was recruited by the Red Hot Chili Peppers to produce their album Freaky Styley, because the band members were huge fans of George Clinton and funk in general. Clinton, in fact, wrote the vocals and lyrics to the title track which was originally intended by the band to be left as an instrumental piece. The album was not a commercial success at the time, but has since sold 500,000 copies after the Red Hot Chili Peppers became popular years later.Clinton is also a notable music producer working on almost all of the albums he performs on, as well as producing albums for Bootsy Collins and also contribute to several tracks on Primal Scream’s studio album Give Out But Don’t Give Up, and also sang “Mind Games” on the John Lennon tribute Working Class Hero. Clinton also worked with Tupac Shakur on the song “Can’t C Me” from the album All Eyez on Me; Ice Cube on the song and video for “Bop Gun (One Nation)” on the Lethal Injection album (which sampled Funkadelic’s earlier hit “One Nation Under A Groove”); Outkast on the song “Synthesizer” from the album Aquemini; Redman on the song “J.U.M.P.” from the album Malpractice; Souls of Mischief on “Mama Knows Best” from the album Trilogy: Conflict, Climax, Resolution; Killah Priest on “Come With me” from the album Priesthood, and the Wu Tang Clan on “Wolves” from the album 8 Diagrams. Mosson sadly passed away 18 April 2013. however in 1997 all Sixteen members of Parliament-Funkadelic (Including Clinton) were inducted to the Rock and Roll Hall of Fame and P-Funk’s effect on modern popular music is still immense. Besides their innovation in the entire genre of funk music, George Clinton and P-Funk are still heard often today, especially in hip-hop sampling. The song “Atomic Dog” is one of the most sampled songs in the history of hip hop, especially in the sub-genre G-funk. The Red Hot Chili Peppers video for their 2006 single Dani California featured a tribute to Parliament-Funkadelic. 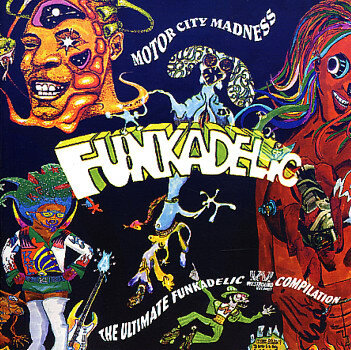 Parliament-Funkadelic’s musical influence can also be heard in R&B, Soul music, Electronica, Gospel, Jazz, and New Wave. Prolific Irish writer and poet Oscar Wilde was Born 16 October 1854. He became one of London’s most popular playwrights during the early 1890s. Today he is remembered for his epigrams and plays, and the circumstances of his imprisonment which was followed by his early death.Wilde’s parents were successful Dublin intellectuals. Their son became fluent in French and German early in life. At university Wilde read Greats; he proved himself to be an outstanding classicist, first at Dublin, then at Oxford. He became known for his involvement in the rising philosophy of aestheticism, led by two of his tutors, Walter Pater and John Ruskin. After university, Wilde moved to London into fashionable cultural and social circles. As a spokesman for aestheticism, he tried his hand at various literary activities: he published a book of poems, lectured in the United States and Canada on the new “English Renaissance in Art”, and then returned to London where he worked prolifically as a journalist. Known for his biting wit, flamboyant dress, and glittering conversation, Wilde had become one of the most well-known personalities of his day.At the turn of the 1890s, he refined his ideas about the supremacy of art in a series of dialogues and essays, and incorporated themes of decadence, duplicity, and beauty into his only novel, The Picture of Dorian Gray (1890). Oscar Wilde then wrote Salome (1891) in French in Paris but it was refused a licence. Unperturbed, Wilde produced four society comedies in the early 1890s, making him one of the most successful playwrights of late Victorian London. At the height of his fame and success, while The Importance of Being Earnest (1895), was still on stage in London, Wilde had the Marquess of Queensberry, the father of his lover, Lord Alfred Douglas, prosecuted for libel, a charge carrying a penalty of up to two years in prison. Unfortunately The trial unearthed evidence that caused Wilde to drop his charges and led to his own arrest and trial for gross indecency with other men. After two more trials he was convicted and imprisoned for two years’ hard labour. In prison he wrote De Profundis (written in 1897 and published in 1905), a long letter which discusses his spiritual journey through his trials, forming a dark counterpoint to his earlier philosophy of pleasure. Upon his release he left immediately for France, never to return to Ireland or Britain. There he wrote his last work, The Ballad of Reading Gaol (1898), a long poem commemorating the harsh rhythms of prison life. Amazingly despite the success of his novels, Wilde died destitute in Paris at the age of forty-six on 30th November 1900. However. His novels continue to remain popular and have been adapted for Radio, Television and film numerous times. Learn a word day and National Dictionary Day both take place annually on 16 October. National Dictionary Day celebrates the birth anniversary of American lexicographer, Noah Webster. Who was Born on October 16, 1758, and is best known for publishing An American Dictionary of the English Language, the precursor of the now famous and widely used Merriam-Webster Dictionary. In 1793, Alexander Hamilton recruited Webster who then moved to New York City and become an editor for a Federalist Party newspaper. He became a prolific author, publishing newspaper articles, political essays, and textbooks. He returned to Connecticut in 1798 and served in the Connecticut House of Representatives. Webster founded the Connecticut Society for the Abolition of Slavery in 1791 but later became somewhat disillusioned with the abolitionist movement. In 1806, Webster published his first dictionary, A Compendious Dictionary of the English Language. The following year, he started working on an expanded and comprehensive dictionary, finally publishing it in 1828. He was very influential in popularizing certain spellings in the United States. He was also influential in establishing the Copyright Act of 1831, the first major statutory revision of U.S. copyright law. While working on a second volume of his dictionary. Webster was A strong supporter of the American Revolution and the ratification of the United States Constitution, Webster hoped his educational works would provide an intellectual foundation for American nationalism; ironically though by 1820 he became a critic of the society he helped create. Webster died May 28 1843, and the rights to the dictionary were acquired by George and Charles Merriam. He has been called the “Father of American Scholarship and Education”. His blue-backed speller books taught five generations of American children how to spell and read. Webster’s name has become synonymous with “dictionary” in the United States, especially the modern Merriam-Webster dictionary that was first published in 1828 as An American Dictionary of the English Language. World Food Day is celebrated every year around the world on 16 October in honor of the date of the founding of the Food and Agriculture Organization of the United Nations in 1945. The day is celebrated widely by many other organisations concerned with food security, including the World Food Programme and the International Fund for Agricultural Development. The World Food Day theme for 2014 is Family Farming: “Feeding the world, caring for the earth” World Food Day (WFD) was established by FAO’s Member Countries at the Organization’s 20th General Conference in November 1945. The Hungarian Delegation, led by the former Hungarian Minister of Agriculture and Food Dr. Pál Romány, played an active role at the 20th Session of the FAO Conference and suggested the idea of celebrating the WFD worldwide. It has since been observed every year in more than 150 countries, raising awareness of the issues behind poverty and hunger. Since 1981, World Food Day has adopted a different theme each year in order to highlight areas needed for action and provide a common focus. Past themes have included agriculture, biodiversity food security, rural youth, poverty, fishermen, trees, the environment, water and sustainable food supplies. Most of the themes have revolved around agriculture because only investment in agriculture, from both the Private and Public sector, together with support for education and health – will turn this situation around. In spite of the importance of agriculture as the driving force in the economies of many developing countries, it is frequently starved of investment, and particular, foreign aid to agriculture has shown marked declines over the past 20 years. World Spine day takes place annually on 16 October. It is Organized by the World Federation of Chiropractic on behalf of the Global Alliance for Musculoskeletal Health. The aims of World Spine day are to Raise awareness about spinal health and spine disorders to individuals, communities, professionals and all stakeholders associated with spine care, To provide a forum for ongoing discussion about the burden of spinal disorders and the sharing of best practices and To promote an interdisciplinary, collaborative approach to easing the burden of spinal disorders. World Spine Day has become a focus in raising awareness of back pain and other spinal issues. With health professionals, exercise and rehabilitation experts, public health advocates, schoolchildren and patients all taking part. The spine, The vertebral column or backbone is part of the axial skeleton. The vertebral column is the defining characteristic of a vertebrate in which the notochord (a flexible rod of uniform composition) found in all chordates has been replaced by a segmented series of bone: vertebrae separated by intervertebral discs. In a human’s vertebral column there are normally thirty-three vertebrae; the upper twenty-four are articulating and separated from each other by intervertebral discs, and the lower nine are fused in adults, five in the sacrum and four in the coccyx or tailbone. The articulating vertebrae are named according to their region of the spine. There are seven cervical vertebrae, twelve thoracic vertebrae and five lumbar vertebrae. The number of vertebrae in a region can vary but overall the number remains the same. The number of those in the cervical region however is only rarely changed.There are ligaments extending the length of the column at the front and the back, and in between the vertebrae joining the spinous processes, the transverse processes and the vertebral laminae. The vertebral column houses the spinal canal, a cavity that encloses and protects the spinal cord. There are about 50,000 species of animals that have a vertebral column. In a human’s vertebral column there are normally thirty-three vertebrae; the upper twenty-four are articulating and separated from each other by intervertebral discs, and the lower nine are fused in adults, five in the sacrum and four in the coccyx or tailbone. The articulating vertebrae are named according to their region of the spine. There are seven cervical vertebrae, twelve thoracic vertebrae and five lumbar vertebrae. The number of vertebrae in a region can vary but overall the number remains the same. The number of those in the cervical region however is only rarely changed. There are ligaments extending the length of the column at the front and the back, and in between the vertebrae joining the spinous processes, the transverse processes and the vertebral laminae. The vertebral column surrounds the spinal cord which travels within the spinal canal, formed from a central hole within each vertebra. The Spine is designed to protect The spinal cord which is an important part of the central nervous system that supplies nerves and receives information from the peripheral nervous system within the body. The spinal cord consists of grey and white matter and a central cavity, the central canal. Adjacent to each vertebra emerge spinal nerves. The spinal nerves provide sympathetic nervous supply to the body, with nerves emerging forming the sympathetic trunk and the splanchnic nerves. The spinal canal follows the different curves of the column; it is large and triangular in those parts of the column which enjoy the greatest freedom of movement, such as the cervical and lumbar regions; and is small and rounded in the thoracic region, where motion is more limited. The spinal cord terminates in the conus medullaris and cauda equina. #LoveYourSpine will also be celebrated to highlight the importance of spinal health and wellbeing. Promotion of physical activity, good posture, responsible lifting and healthy working conditions will all feature as people are encouraged to look after their spines and stay active. With an estimated one billion people worldwide suffering from back pain, it affects all age groups, from children to the elderly. It is the biggest single cause of disability on the planet, with one in four adults estimated to suffer from back pain during their lives. Prevention is therefore key and this year’s World Spine Day will be encouraging people to take steps to be kind to their spines. Populations in under-serviced parts of the world often have no access to conventional healthcare resources to care for spinal pain and disability. Often relying on traditional healers, even those who are seen in hospital are often only given anti-inflammatory medication. Dedicated spinal health professionals do not exist in many parts of the world, so education and self-help is key. Even in high-income countries, back pain afflicts many millions of people, resulting in an enormous impact on industry and the economy. She is subsequently attended to by the kindly apothecary Mr. Lloyd to whom Jane reveals how unhappy she is living at Gateshead Hall. He recommends to Mrs. Reed that Jane should be sent to school. So she is sent to Lowood Institution, a harsh charity school for girls under the sinister Mr. Brocklehurst, where she befriends an older girl, Helen Burns and Miss Temple, the caring superintendent, who helps Jane’s self-defence against Brocklehurst’s accusations. The 80 pupils at Lowood are subjected to cold rooms, poor meals, and thin clothing. Many students fall ill when a typhus epidemic strikes, and Jane’s friend Helen dies. When Mr. Brocklehurst’s maltreatment of the students is discovered, several benefactors erect a new building and install a sympathetic management committee to moderate Mr. Brocklehurst’s harsh rule. Conditions at the school then improve dramatically. After six years as a student and two as a teacher at Lowood, Jane leaves Lowood and advertises her services as a governess and receives one reply, from Alice Fairfax, housekeeper at Thornfield Hall. Jane takes the position, teaching Adèle Varens, a young French girl. Jane encounters Edward Rochester, master of Thornfield Hall and discovers that Adèle is his ward, left in his care when her mother abandoned her. Odd things start to happen at the house, such as a strange laugh, a mysterious fire in Mr. Rochester’s room (from which Jane saves Rochester), and an attack on a house guest named Mr. Mason. Then Jane learns that her aunt Mrs. Reed is calling for her, after suffering a stroke when her son John died, so Jane returns to Gateshead to attend to her dying aunt. The villainous Mrs. Reed gives Jane a letter from Jane’s paternal uncle, Mr. John Eyre, in which he asks for her to live with him and be his heir. Mrs. Reed admits to telling Mr. Eyre that Jane had died of fever at Lowood. Back at Thornfield, Mr. Rochester is betrothed to the beautiful and talented, but snobbish and heartless, Blanche Ingram. However Jane reveals her feelings for him. Rochester learns that Jane is in love with him, so he proposes, however Jane is sceptical at first but eventually believes him and gladly agrees to marry him. As she prepares for her wedding, a strange woman sneaks into Jane’s room one night and rips her wedding veil in two. Mr. Rochester attributes the incident to Grace Poole, one of his servants. During the wedding ceremony, Mr. Mason and a lawyer declare that Mr. Rochester cannot marry because he is already married to Mr. Mason’s sister, Bertha. Mr. Rochester admits this is true but discovered that she was rapidly descending into congenital madness, so he locked her away in Thornfield, hiring Grace Poole as a nurse to look after her. 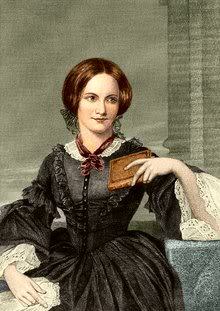 When Grace got drunk, Rochester’s wife escaped and caused the mysterious events at Thornfield. Jane also discovers that her uncle, Mr. John Eyre, is a friend of Mr. Mason’s. Mr. Rochester asks Jane to go with him to the south of France, and live with him as husband and wife, even though they cannot be married. Refusing to go against her principles, and despite her love for him, Jane leaves Thornfield.